Melvin Tunstall, III began his writing career while still a student at the Cincinnati Conservatory of Music as a founding member of the AMP Theatre Company. 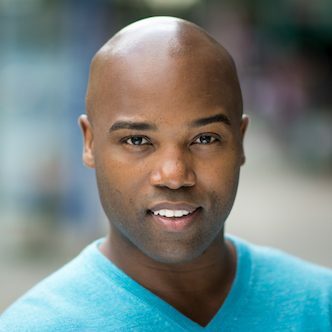 A proud participant in the Yale Institute for Musical Theater, Melvin took a small break from writing to make his Broadway debut in Beautiful: The Carole King Musical after originating the role of “Ja’Keith” in the Toronto Company of the Broadway smash Rock of Ages. The acting bug now quenched, Melvin returned to writing with commissioned adaptations of the Broadway musicals Wonderland and The Wiz. His original musical BLooM! was a finalist in the renowned NAMT Festival in New York City. Peter, darling…, his highly anticipated new musical version of the classic Peter Pan, was commissioned by and will premiere at Casa Mañana Theatre in TX, Spring 2018. His show Polkadots: The Cool Kids Musical won the Off Broadway Aliiance Award for Best Family Show in 2018. Melvin currently resides in New York City where he is hard at work writing the book, melodies and lyrics to Senior Class: a new musical Pygmalion.